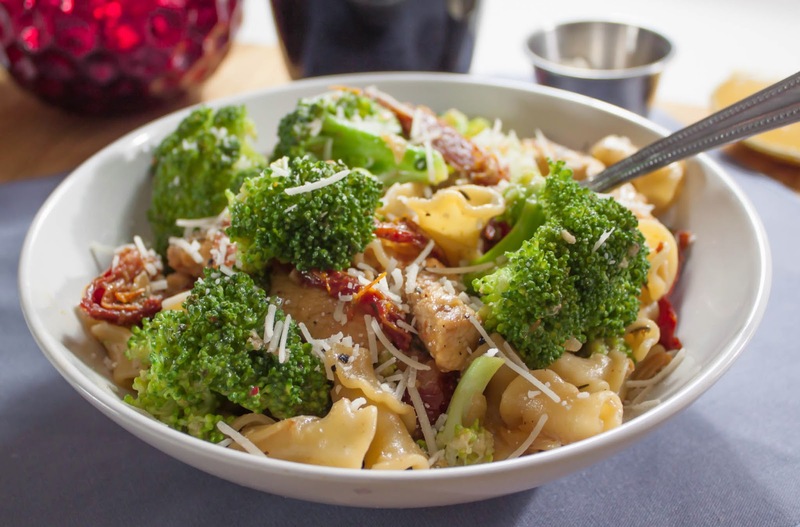 Pasta with Chicken, Broccoli, and Sun-Dried Tomatoes. Pasta with Chicken, Broccoli, and Sun-Dried Tomatoes: US Butter. BL/SL Chicken Breasts. Onion. S & P. Garlic. Thyme. AP Flour. Red Pepper Flakes. LS Chicken Broth. Dry White Wine. Asiago Cheese. Sun-Dried Tomatoes. Parsley. Campanelle Pasta. Lemon. Fig-Glazed Pork Loin with Roasted Potatoes and Bacon. 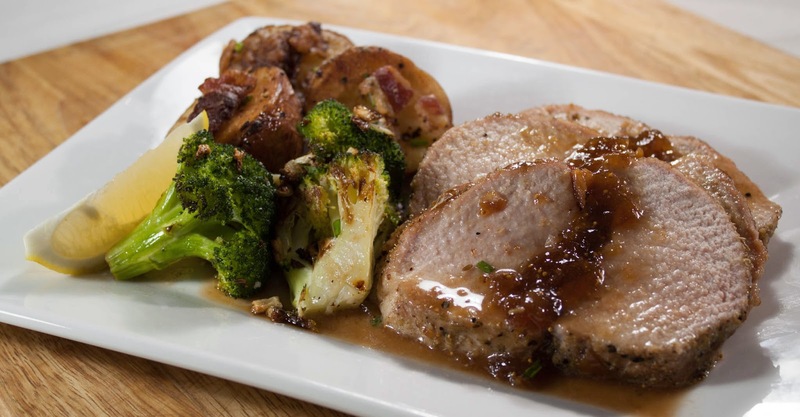 Fig-Glazed Pork Loin with Roasted Potatoes and Bacon: Bacon. Red Potatoes. BL Pork Loin Roast. Fennel Seeds. Fig Jam. Chives. Roasted Broccoli: Broccoli. EVOO. Sugar. S & P. Lemon.